The local diving sites are located in the bay of Cabo San Lucas in the Sea of Cortez. We'll dive next to the most southern rock of Baja with the playful sea lions, swim next to eels, see angelfish, parrotfish, garden eel, spotted boxfish puffers, schools of tuna, barracudas, rays and maybe even a sea turtle will pass us by! We will visit the coastal town of Todos Santos, view the work of the local artist's, absorb the rich history and the beauty of this rustic mystical town, visit the Hotel California, (the very one that inspired Don Henley's song), shop and explore the Spanish mission. 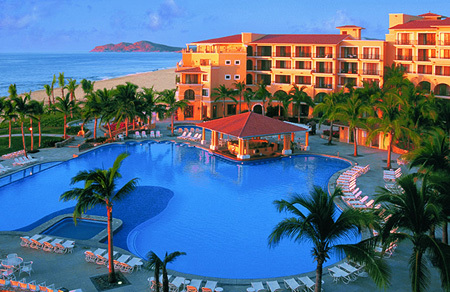 We will tour what some people call paradise on earth - Los Cabos. 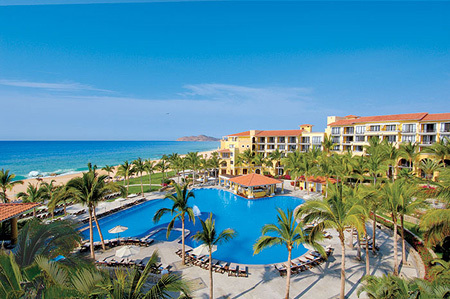 A combination of the historic village of San Jose del Cabo and Cabo San Lucas, a quaint town featuring wonderful restaurants, shopping, and a magnificent marina. Here we will enjoy lunch then take a glass bottom boat to the world famous El Arco, Lover's Beach, and the Sea Lion Colony. A great honeymoon day out! 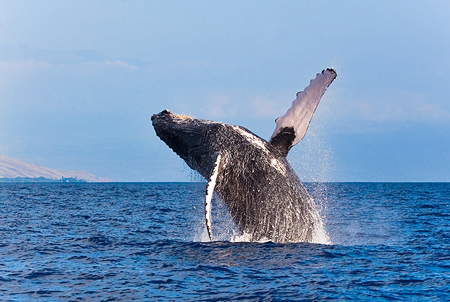 We will be enjoying the pleasantly warm "winter" days in Cabo with the whales just off the coast, taken by boat to get a real up close look at these massive creatures. We will need to take our camera for this trip! 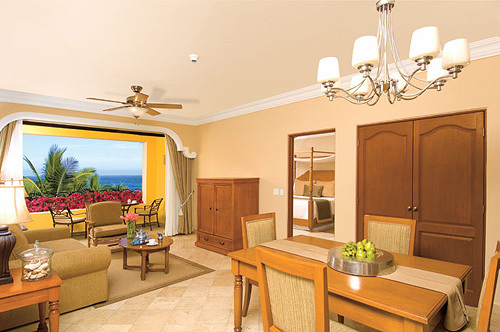 We'll be pampered in style and comfort in our intimate and romantic one bedroom honeymoon suite with breathtaking views of the Pacific Ocean. Spacious and delicately appointed with fine fabrics, tropical hardwoods and marble floors. A luxurious king size bed, a Jacuzzi tub, bathrobes, satellite TV, a fully stocked mini-bar with premium brands, 24-hour room service and a very private terrace fully furnished for sunbathing or just relaxing. We don't want to settle for a standard suite on our honeymoon. With your wedding gift we can plan ahead and upgrade to a luxurious honeymoon suite with spectacular views of the pristine opalescent beach and the magnificent blue Pacific Ocean. Our suite paradise! 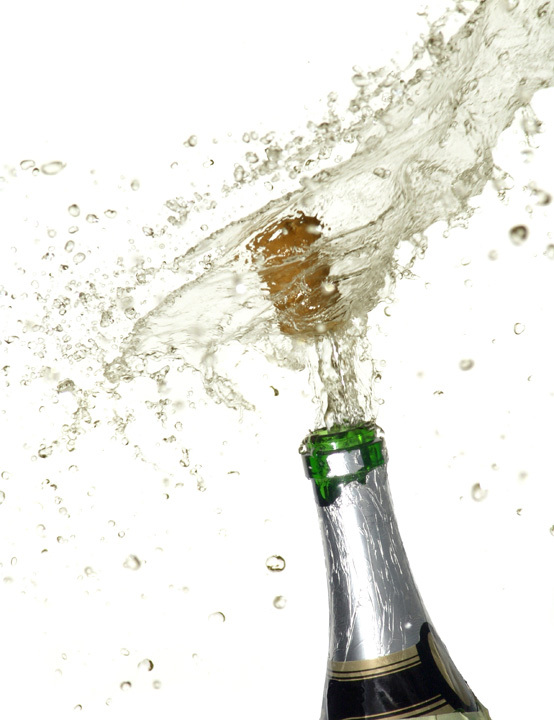 We'll toast to our romantic honeymoon at Dreams Los Cabos and our new life together as we uncork the effervescence of a chilled bottle of Moet et Chandon champagne. Cheers! 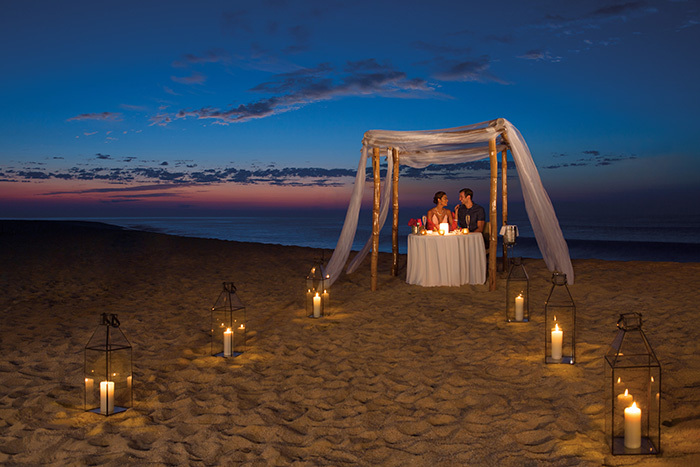 Being together at Dreams Los Cabos on our honeymoon while feasting on a romantic intimate dinner served on the beach is the perfect wedding gift. We will toast with chilled tropical drinks while creating unforgettable honeymoon memories! 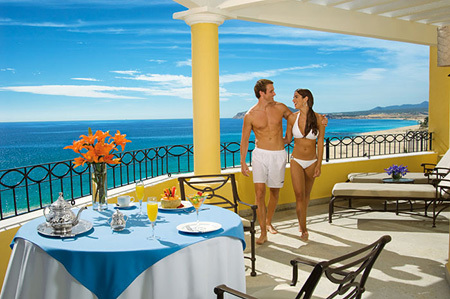 The exquisite scenery and atmosphere of Dreams Los Cabos Suites Golf Resort and Spa makes it the perfect location for our dream honeymoon! 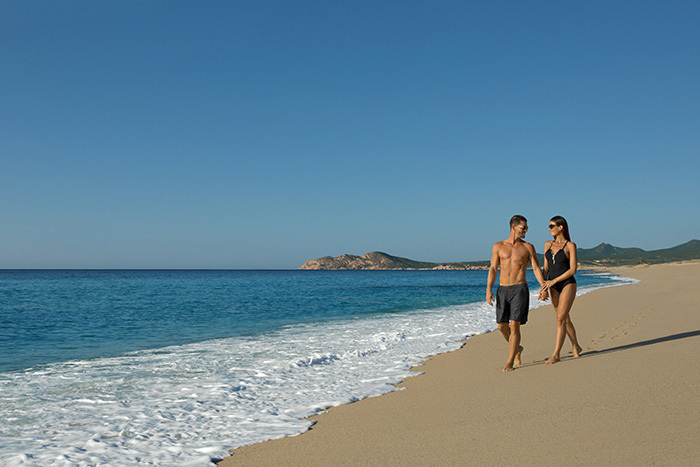 At Dreams Los Cabos there's no limit to the amount of activities for us to enjoy! On our honeymoon, we will decide whether we want a day spent in the relaxing spa or want to be adventurous with exciting excursions. Your contribution to our Fun Fund is greatly appreciated! This spa treatment includes everything; salt glow exfoliation, Swedish massage, luminous C facial, manicure, pedicure and wash and blow dry. We will glow from head to toe! Lying side by side we'll enjoy the therapeutic benefits of our couples cocoa wrap followed by a tension release massage, complemented by a grooms fitness facial and an exclusive Dreams brides facial. We can't wait! We will experience the special indulgence of a couple's massage lying side-by-side being pampered with exotic oils that hydrate the skin, rejuvenate senses, and leave us refreshed and revitalized. 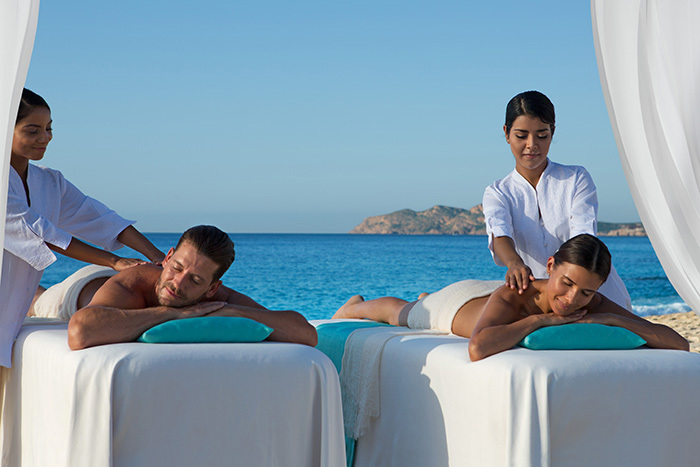 We want to reserve our spa treatments early for this ultimate honeymoon spa experience!